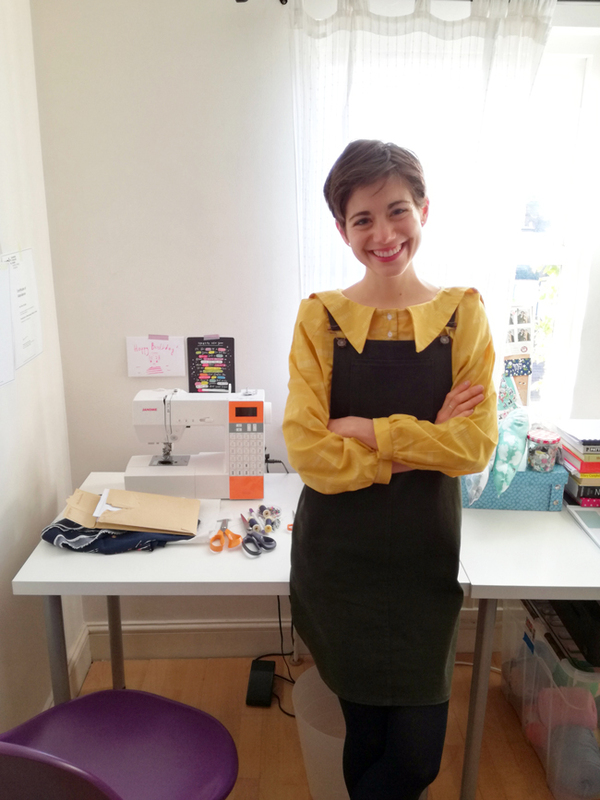 Tilly and the Buttons: Sewing Space Tours... Ana's Sweet Sewing Space! Sewing Space Tours... Ana's Sweet Sewing Space! 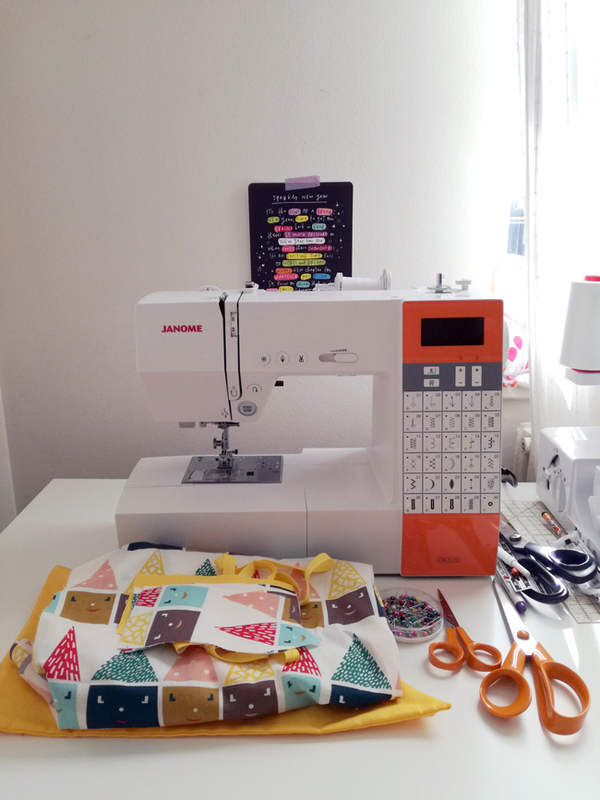 Fancy some mid-week sewing space inspo? You're in luck! 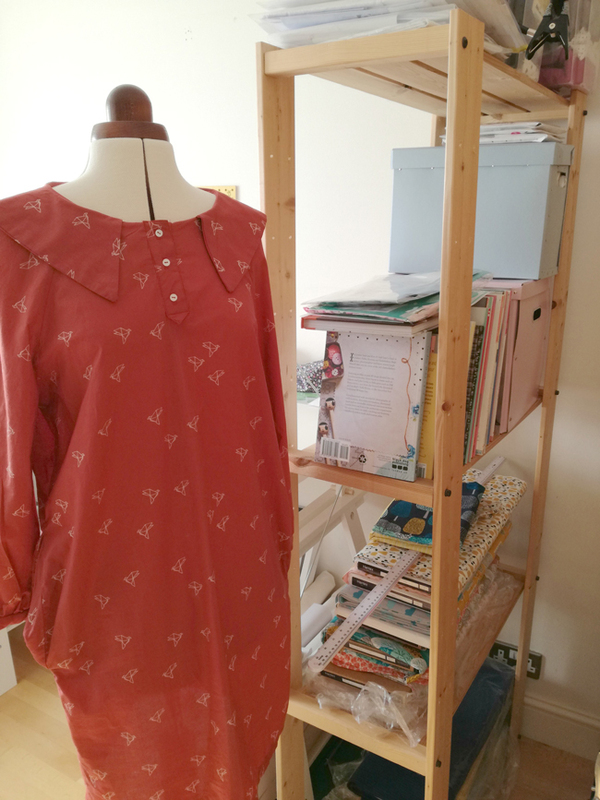 Lexy here to introduce Ana, who has let us peep into her sweet and serene sewing room in the latest instalment of our Sewing Space Tours series. Over to Ana for more! Hi! My name is Ana, I am originally from Spain, but I have been living in London for the past 6 years (and yes, I complain about the weather quite a lot – but who doesn’t!?). 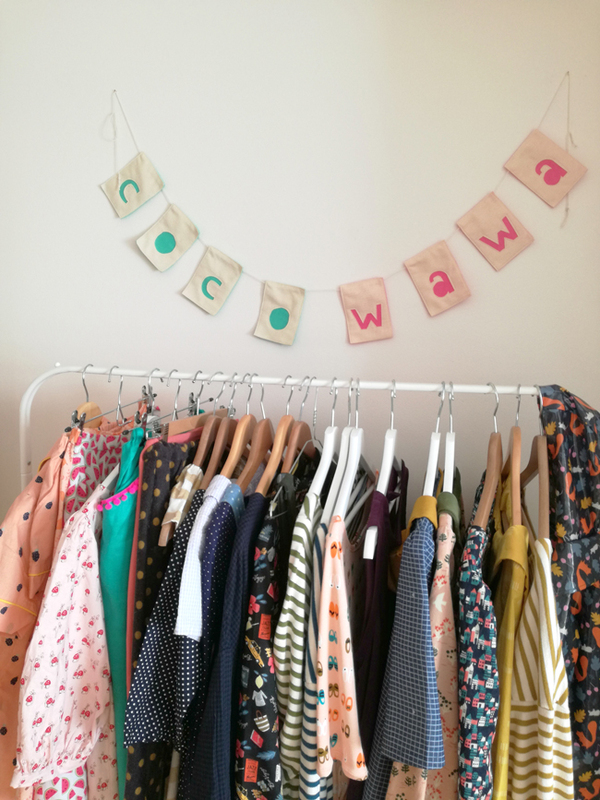 I used to work as a journalist and writer, as this is what I studied at university in Spain, but after starting my own sewing business in 2014 here in London, I gave up my freelance writing job to work on CocoWawa Crafts full time (or, as I usually say, 24/7!). It was a very scary thing to do in my thirties, but well worth it. When it comes to sewing, I actually only learned 5 years ago! I wasn’t very crafty as a child – I even used glue to make clothes for my dolls, rather than stitch them! 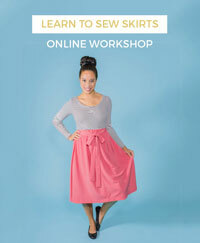 But since learning, I have not been able to stop, and now sewing and creating sewing patterns is my actual job. 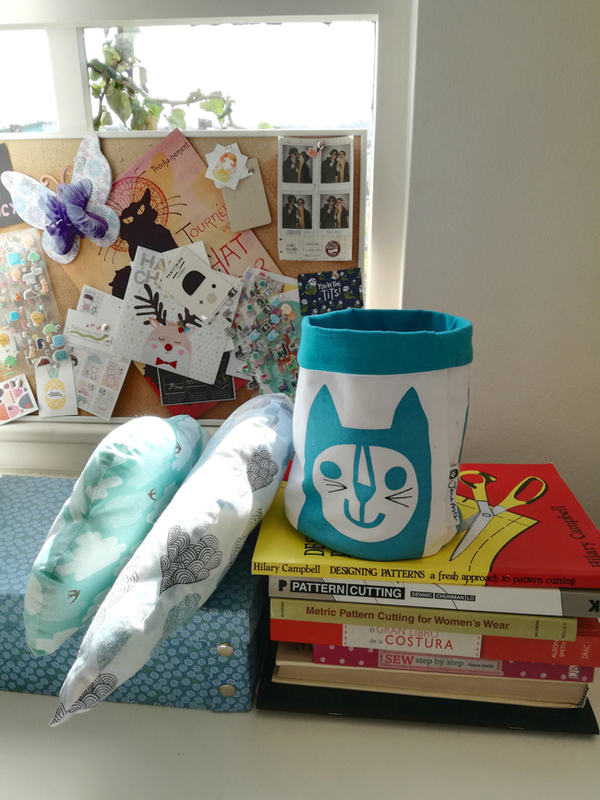 At the beginning I started with very simple projects like tote bags, cushion covers, and make up bag and then I went straight into dressmaking. To perfect my skills I kept going to workshops and courses at the London College of Fashion (both for professional sewing skills and pattern cutting) and kept sewing and sewing, making lots of mistakes along the way! I find that this is the best way for me to learn, as well as watching tutorials online and reading lots of sewing books and blogs. 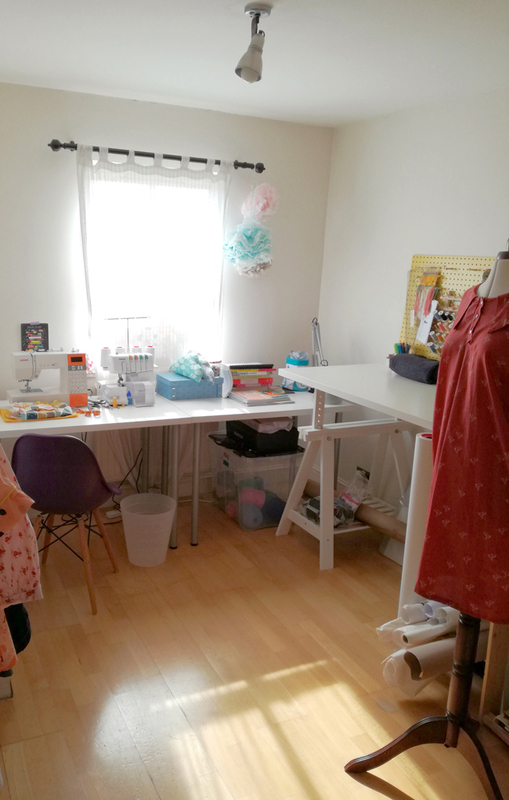 My sewing space has changed quite a lot since I started sewing. In our old flat it was just a tiny table in the living room. 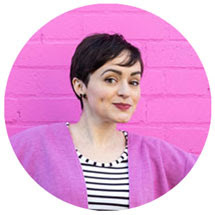 Then, a few years ago, we moved into a two bedroom flat and I transformed the second room into my office for both sewing and my freelance writing. 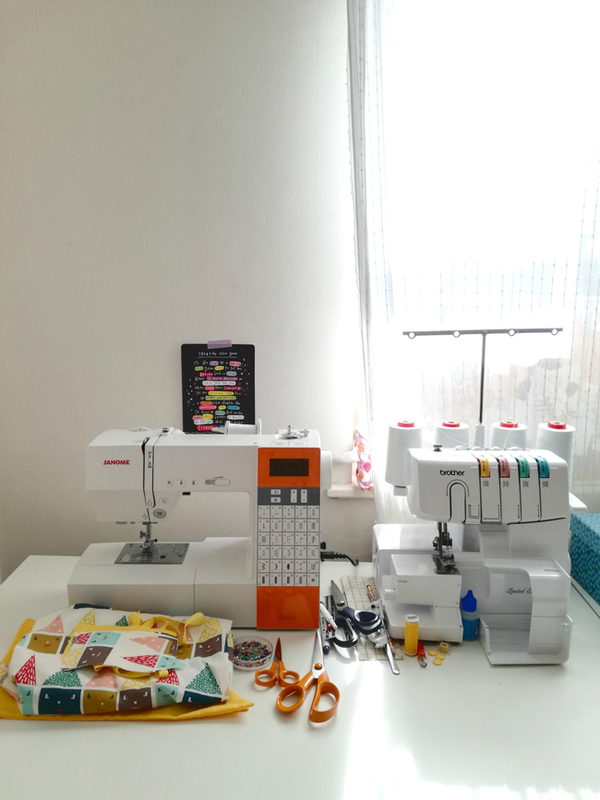 Since last year, the room is fully dedicated to my sewing business, with little additions to make working easier. Almost everything comes from IKEA, as I didn’t want to spend a lot of money and I think it has turned out well. I’ve got two normal office tables: one for my sewing machine and overlocker and the other one for sewing and pattern cutting books, stationary that I usually use, my haberdashery box full of trims, zips and bits… the list goes on! I’ve also got a cutting/drafting table and honestly, it is the best thing that has happened to me recently, haha! It is made up of two trestles and a tabletop, and it’s just brilliant! You can adapt the height so you can work on it standing comfortably (no more cutting on the floor!) 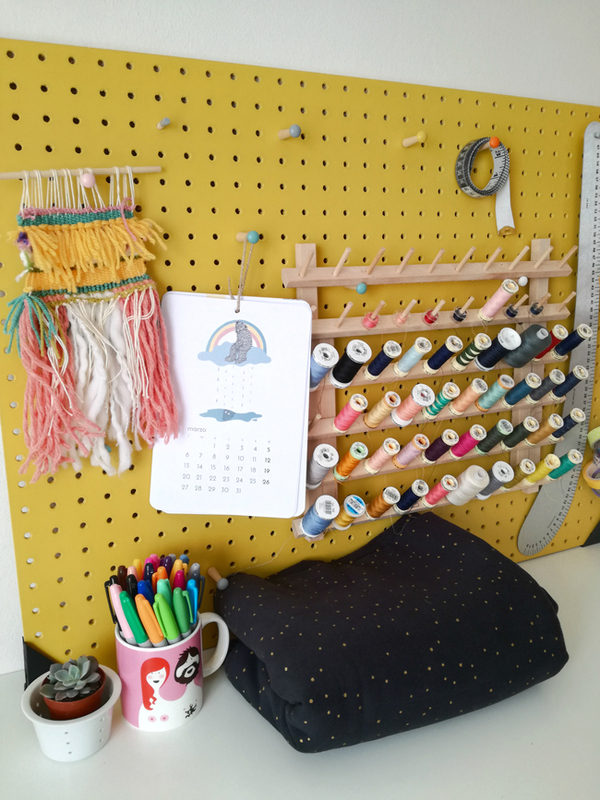 and I also added a cute and useful pegboard where I hang all the tools I usually use apart from the thread rack, another new bit that I bought recently. I don’t have an inspirational board as such as I usually use Pinterest and a special notebook for that, but I do have some drawings around me of my upcoming patterns. They motivate me and also help me decide if some changes need to be done to the initial design. Being a one-woman business, sometimes you need a bit of perspective! 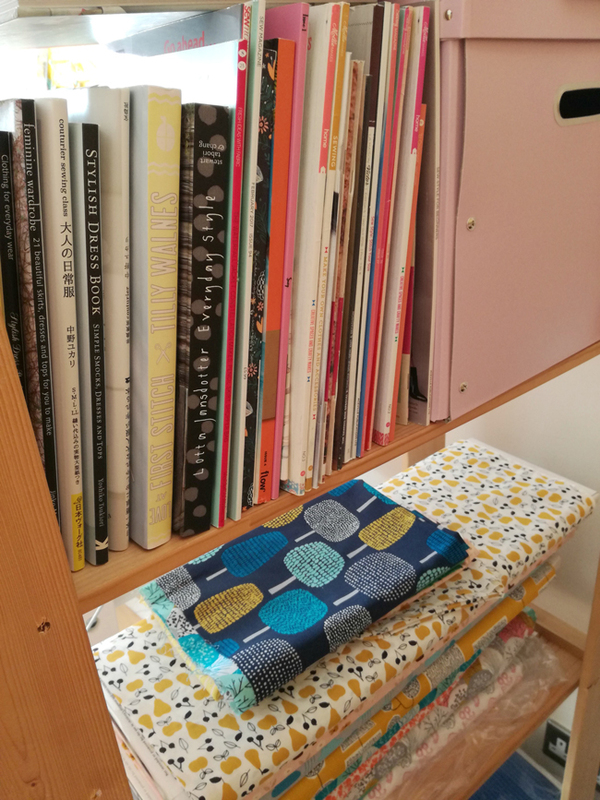 In terms of organisation, I have a shelf where I keep all the fabrics I sell in my online shop and also lots of sewing machines and sewing books (Love at First Stitch, for example!). I also have two boxes where I keep the patterns I buy from indie designers. The ones that I create and sell myself are all rolled up and kept under my magic cutting table, along with calico to make toiles and the blocks I use every time I create a new pattern. I would like to use hooks to hang them around, but our landlady wouldn’t be very happy about new holes in her walls! Regarding my fabric stash for personal use, I keep these on the fabric shelf too, but they are in boxes to keep them separate and, if I’m honest, I don’t have a huge stash. I usually try to sew what I have and then buy, although this isn’t always the case (there are so many nice fabrics out there!). 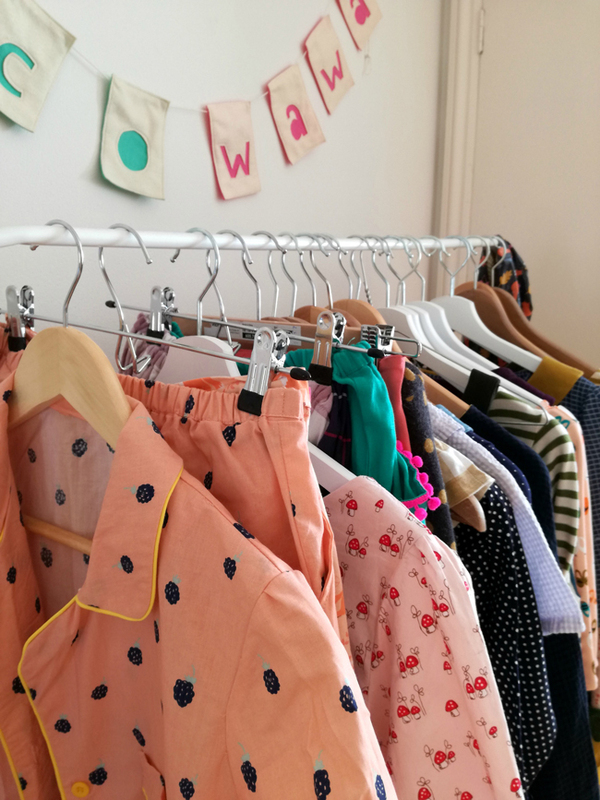 I also have a clothes rack where I hang almost all my handmade garments and it makes me sooo happy going there every morning to pick up something! When it comes to my sewing, I don’t have any special rituals. Because sewing is now part of my job, I usually sew or work on new/current patterns in the morning, as this is when the room is light and bright. I’ll then work on the computer in the afternoon/evening, as well as packing orders and doing other bits. As I work from home I tend to not dress up too much, but one of my New Years resolutions has been to dress it as if I was going to an office, so now I usually put on my handmade clothes and lipstick, and it makes me feel so much better! I usually listen to some relaxing music while sewing, although if it is an easy make I may watch videos on YouTube or listen to crafty/sewing podcasts, depending on the day. If I need to be focused on something, then silence it is. Feeling inspired? 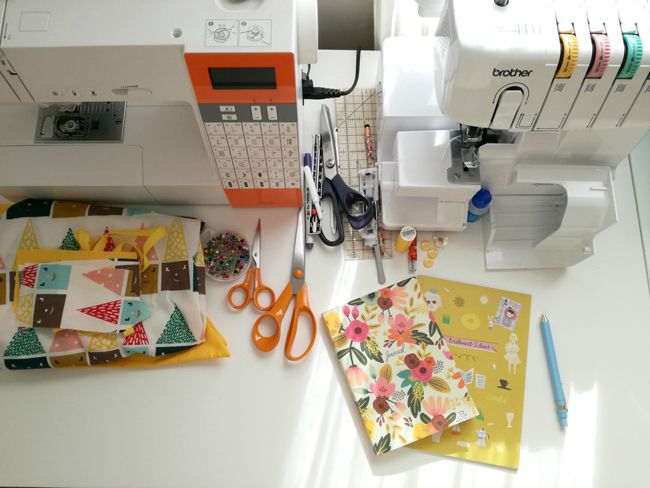 Check out the other amazing spaces we've featured in the Sewing Space Tours series, and check out how to submit your own fantastic space to be featured on the blog. Big Project in the Works!